Thank you for visiting my website. My name is Jean M. Roberts, my friends call me Jeanie. I am an author, blogger, genealogy nut and history fanatic. I began this blog in 2013 as a way to tell my ancestors stories to my father and other family member who might be interested. Much to my surprise it has been of interest to folks like you and today has reached thousands of viewers. I graduated from the University of St. Thomas in Houston, Texas with a BSN. After a brief stint at a local hospital I joined the United States Air Forces and proudly served my county for eight years. I was lucky enough to meet and marry a cute fighter pilot and became a military wife. I have one child, who currently serves in the United States Army. I believe in good honest research, slogging through books, libraries and archives. I do not believe in copy and paste genealogy which you find on the internet. My blog reflects my research, not some unknown owner of an ancestry tree. In 2018 I combined my love of genealogy, history and writing into a full length historical novel; WEAVE A WEB OF WITCHCRAFT and in 2019 I published a second historical novel; BLOOD IN THE VALLEY. Both books were meticulously researched and accurately portray life in the 17th and 18th centuries. 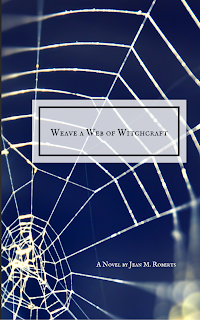 WEAVE A WEB OF WITCHCRAFT tells the story of Hugh and Mary Parsons of Springfield, Massachusetts. They met and married in 1645. By 1651 their lives were torn apart by accusations of witchcraft and murder. It is a compelling story based on the actual depositions given at their hearings. You won't want to put it down. Oh my goodness, this book just blew me away! Just when I thought I'd worked it all out nicely - BAM - plot twist. I loved this book. It grabbed my attention from the very first page, held on tight and wouldn't let me go until the very last. I was completely enthralled by all the twists and turns, secrets and lies and some delicious family dynamics. Characters were especially well defined and thus easy to connect to. Pacing was also excellent throughout. The story was high octane most of the way through but there were calmer moments throughout which I was grateful for as they gave me chance to catch my breath before starting off again. I really can't wait to see what this author serves up next. 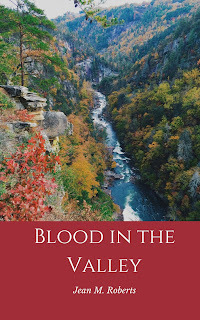 BLOOD IN THE VALLEY was released in January 2019. This is the gripping tale of my ancestor Catherine Wasson Clyde and her husband, Colonel Samuel Clyde, American Revolutionary War hero. Fifteen year old Catherine and her family left placid New Hampshire for the wild wonderful frontier world of the Mohawk Valley in the Colony of New York. Filled with colorful characters, Catherine's family adapts to their new home during a tumultuous time, the last of the French and Indian Wars. After her marriage she and her husband settle into their new home on the edge of Indian territory in Cherry Valley. But their peaceful life is torn apart as the Mohawk Valley descends into guerrilla warfare as Patriots and Loyalist battle to control the land. Both books are currently available on Amazon.com in both Kindle and paperback versions. If you subscribe to Kindle Unlimited it is free.